Notebooking has long been a wonderful way for my children to learn in our homeschool. When you are new to a field its jargon can be intimidating. But homeschool notebooking should not be scary because getting started is not a difficult venture. Our notebooking expert for this post is Jimmie Lanley -- otherwise known as the Notebooking Fairy! Look at your weekly lesson plans and choose an area that would lend itself well to notebooking. You may be thinking, "I have never done this! I have no idea what will mesh with notebooking!" In that case, I suggest you begin with either science or history. Those topics normally are easy to both write about and illustrate. Then look at your weekly plans. Choose a day that introduces and completes a single idea. It might be a famous individual or a single historic event. Or in the case of science it may be a lesson about a chemical process or an animal. Zero in on that one day's science or history lesson . Now you have your notebooking target. Go ahead and teach as you normally would whether it's having your child read silently or you reading outloud. If it is a video or a hands-on experiment, that will work too. Don't change your normal homeschool plans for the sake of notebooking. The only change you need to make is at the start of the lesson. Cue your children that at the end of the lesson you are going to have them retell the lesson on a notebooking page. If they look confused, don't worry. Tell them it will be easy once they get to that point. Now that the lesson is over, ask your child to tell you back what he learned. You listen and probe for more details if you feel the narration is not thorough enough. While your child is narrating, you need to make some choices. Eventually you are going to ask your child to write down what he just explained outloud. So you may want to take outline notes of what your child says. Or you may prefer to write key words, like a word bank. Some of you may even serve as a scribe for the child and write down exactly what she ways. You don't need anything fancy here. A plain piece of notebook or copy paper will work. But you can also print out some of generic notebooking templates if you desire. Ask your child to write down what he just explained. You can offer your outline or word bank as helps. If you have tips for things like capitalization or spelling, make mention of them, but don't stress the child out. The main point is to get her ideas down on paper. There will be mistakes, so use a pencil. This doesn't have to be perfect. And the oral narration should be a good "practice" for the written work. Gauge the length by the age of your child. Some children may write only a sentence. Others will write multiple paragraphs. Reserve part of the paper for an illustration of the lesson. If your child is crafty, set him loose with markers. But if your child despises drawing, offer some alternatives such as an image printed out, a picture photocopied from a book, or a coloring page. Diagrams and graphic organizers work here too. And stick men are absolutely acceptable. The point is to illustrate the lesson not to create a work of art. Now your page is complete. Check it for glaring errors and make minor corrections. Then hole punch your page or slip it into a page protector for safe keeping in three ring binder. Let your child personalize her notebooks and take responsibility for making covers and dividers. Even if they are very simple, the idea is to teach organizational skills. To use notebooking another day, simply repeat this process. To prevent falling into a notebooking rut, take a look at the list of 50 things you can put into a notebook. Notebooking pages can become an enjoyable part of your homeschool routine where children narrate their lessons, practice writing, adn expres creativity. As a bonus, when you are done, you have a portfolio of your work that documents all you learned. See? Wasn't that easy? Getting started with notebooking is truly simple. Start small and see if notebooking is a good fit for your homeschool. Jimmie Lanley is the mother of one creative teenaged daughter. Living abroad in China necessitated the original choice to homeschool. But now that she and her family are back in Tennessee, Jimmie can't imagine any other way to educate her middle schooler. Jimmie's Collage is where she blogs about her Charlotte Mason styled homeschool. 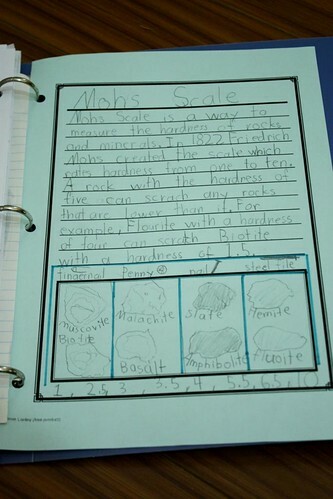 In the early years, Jimmie's lesson plans were full of hands-on activities and lapbooks. As the years passed, she began using more and more notebooking and became so passionate about the method that she created her second blog, The Notebooking Fairy. That site features free notebooking printables and how-tos plus the affordable eBook guide Notebooking Success. 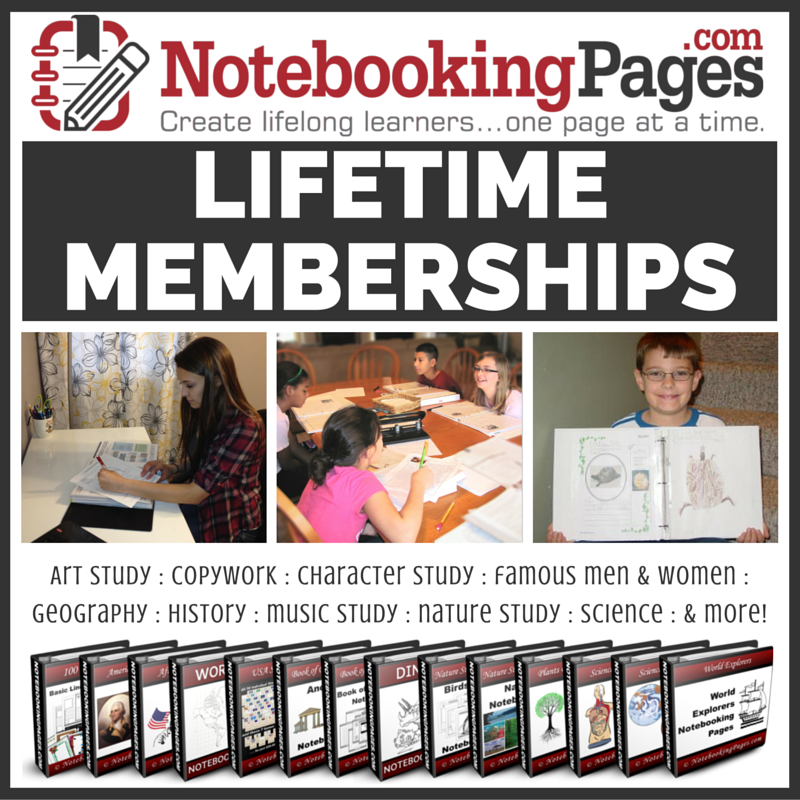 In our homeschool we have made excellent use of our Lifetime Membership to Notebooking Pages. Notebooking Pages literally has a printable page for ANYTHING you are studying, and if they don't -- you can make one yourself using the Notebooking Web App publisher. This is BY FAR the most used resource in our homeschool! What about you? Do you notebook? Can we answer any questions about notebooking for you?